Which Cartoon Was The Last To Be Animated With Cells? Cell animation, the process of hand drawing and coloring the background, foreground, and animated portions of every single frame of a cartoon, is an extremely labor intensive process. Although cell animation was the standard for all cartoons between the 1930s and 1970s, by the 1990s fewer and fewer shows were fully animated with cells. Although there were some hold outs, like The Simpsons, eventually shows switched to entirely digital work flows and ditched the labor intensive cell process in exchange for faster turnaround times. 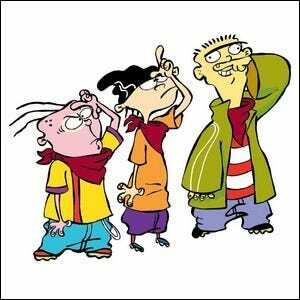 The only show that held onto traditional process until the end was Ed, Edd n Eddy, a quirky children’s cartoon that aired from 1999-2009. Every frame of all 131 Ed, Edd n Eddy segments was hand drawn and animated.